THE PERFECT ACCESSORY FOR AUTUMN | RAWR BOWS. 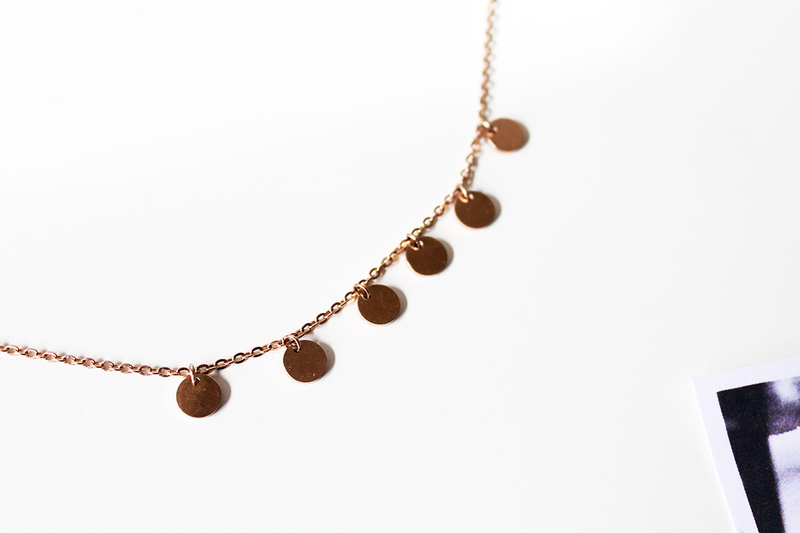 I'm all about dainty jewellery, it's the perfect way to spice up any outfit - whether it's casual or fancy. It adds a really cute touch and adds this je ne sais pas touch. You know, the "casually looking fab" vibe. Years ago I did a collab with The Happiness Boutique and recently, when sorting out my jewellery, I found the necklace they gifted me. Out of curiosity, I went on their website and checked out what they had in stock: everything they had was right up my alley, so I decided to get in touch with them again. Even though they have so many beautiful necklaces, earrings, bracelet, etc; I knew what I wanted straight away. 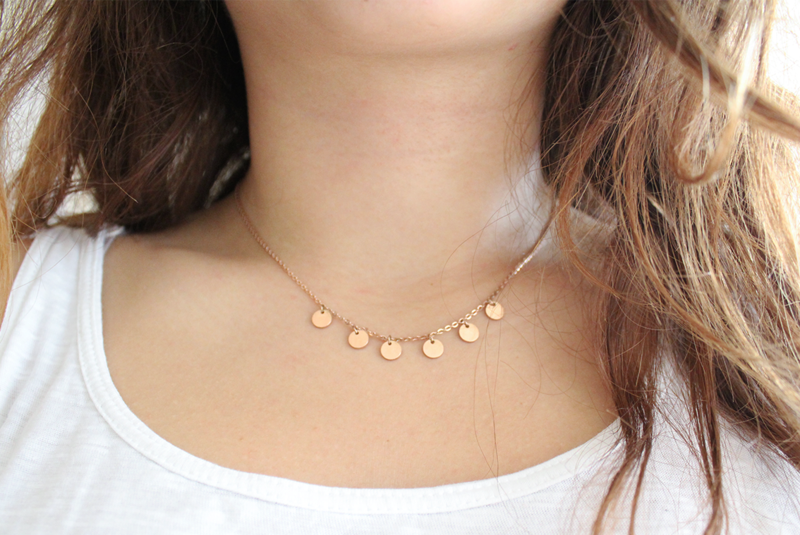 I had been on the hunt for a dainty rose gold short necklace with tiny pendants, I have seen it on a few of my favourite influencers and I think it looks so lovely and dreamy, so I was incredibly pleased when I saw they had something so similar to what I was looking for. With gold or rose gold jewellery I am always worried it's going to look cheap, but this one doesn't in the slightest. It's made out of stainless steel and it's rose gold plated, this means that you can swim and shower with it and it's not going to go rusty which is a massive plus for me as I hate having to take my jewellery off every day. My life is exhausting enough to remember to take off all my necklaces, earrings, bracelet and rings before I get into the shower, I don't have time for this. I received the necklace a few weeks ago and I kid you not I've been wearing it every single day - it's so easy to style and it goes with literally any outfit, even sweatpants. I personally love how it looks when styled with a loose white shirt, some denim jeans and trainers. I'm actually looking to buy some more jewellery from them because I'm getting so much wear out of this necklace. I've been really into rings recently and they have so many cool ones; you should definitley expect another post featuring The Happiness Boutique! Overall, I am super happy with what I got and if you're looking for good quality jewellery you should definitley check them out! They might not be as cheap as Primark but, in my opinion, it's worth spending a few extra pounds to get a good quality piece! ALSO! I have a discount code for you guys, if you use rawrbows on any order over 19€ you'll get 10% off, how good is that! The offer will be valid until the 19th of October so hurry up and take advantage of it!